Matthew G. Whitaker, President Trump’s pick to temporarily helm the Justice Department, provides Trump with the leader he has long sought at the law enforcement agency: a political loyalist critical of the special counsel probe. Now — at least on an interim basis — Whitaker will assume authority over that investigation, an arrangement that has triggered calls by Democrats for him to recuse himself. 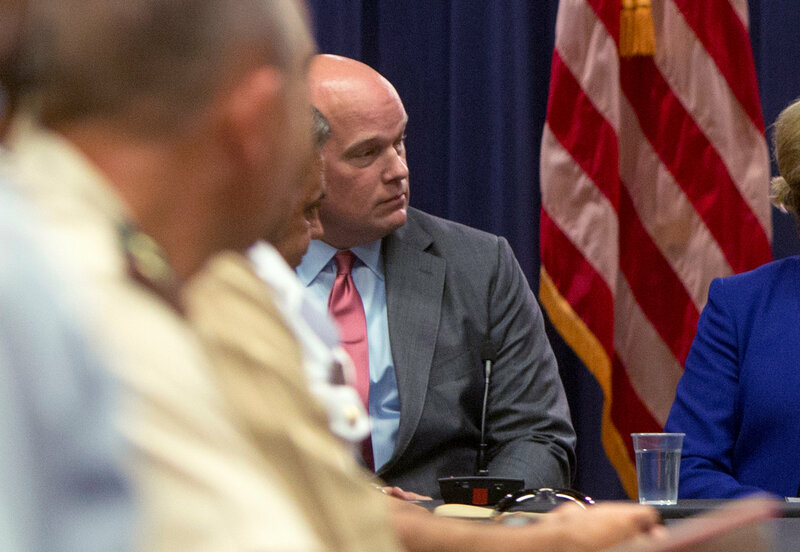 Before joining the Justice Department in 2017 as Sessions’s chief of staff, Whitaker served as U.S. attorney in Iowa, made an unsuccessful U.S. Senate bid and ran a conservative watchdog group. For a time, he served on the advisory board of an invention-promotion company that was shut down earlier this year amid a Federal Trade Commission investigation, records show. Fellow conservatives cast Whitaker’s political background as an asset. “There’s so many things that fall within the Justice Department’s responsibility that lie at the intersection of law and politics that you really need to be knowledgeable and able to see the issue in both political and legal terms,” said former deputy attorney general George J. Terwilliger III. As Sessions’s chief of staff, Whitaker met with the president in the Oval Office more than a dozen times, normally accompanying the attorney general, according to a senior administration official. When Trump complained about the Mueller investigation, Whitaker often smiled knowingly and nodded in assent, the official said. Whitaker also has ties to a witness in the probe: onetime Trump campaign chairman Sam Clovis. The two men have been close since Whitaker chaired Clovis’s bid for Iowa state treasurer in 2014. Clovis has been interviewed as a witness in the Mueller investigation because of his communications with George Papadopoulos, a junior Trump campaign adviser who repeatedly tried to broker a meeting between Trump and Russian President Vladimir Putin. Clovis confirmed Wednesday that he met with Mueller’s grand jury and is friends with Whitaker, but he sharply dismissed the suggestion that their relationship raised questions about Whitaker’s ability to oversee the Russia probe. Whitaker was nominated to be U.S. attorney in Iowa by President George W. Bush. He served in the post from 2004 until President Barack Obama took office in 2009. He lost in the Republican primary to Joni Ernst, running fourth among the GOP candidates with 7.5 percent of the vote. The FTC case included an email Whitaker wrote on Aug. 21, 2015, to someone who had complained about the firm’s conduct and threatened, among other things, to file a complaint with the Better Business Bureau. Whitaker noted that he was a former U.S. attorney and accused the complainant of trying to smear the company. “I am assuming you understand that there could be serious civil and criminal consequences for you,” he wrote in the email, which was included in the federal district court filing in the matter. The FTC did not accuse Whitaker or other board members of wrongdoing in its investigation, which resulted in a settlement. While agreeing to a financial penalty and a suspension of certain activities, the company did not formally acknowledge wrongdoing, documents show. A Justice Department spokeswoman declined to comment on Whitaker’s work history. From 2014 to 2017, Whitaker served as executive director of FACT, the Foundation for Accountability and Civic Trust, a conservative version of the ethics watchdog group Citizens for Responsibility and Ethics in Washington. He was paid handsomely, earning a $402,000 salary in 2016 for 40 hours of work a week, according to tax filings. In his role at FACT, Whitaker asked then-Attorney General Eric Holder to investigate Sidney Blumenthal, a longtime adviser to the Clintons, for what he said were foreign lobbying disclosure violations. In his complaint, he cited news articles based on emails hacked from Blumenthal’s account. In response, Blumenthal wrote the Justice Department to say that Whitaker’s complaint had no merit and was based on misrepresentations of emails that had been illegally hacked from Blumenthal’s personal account. Alice Crites, Josh Dawsey and Rosalind S. Helderman contributed to this report.